Introduced in 1978 by American designer Ralph Lauren, Polo Green Cologne for Men remains a popular and timeless men's fragrance. 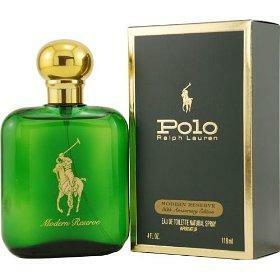 The traditional and masculine Polo Green Cologne is classified as a refreshing and earthy fragrance. Capturing the rich heritage of the thoroughbred sport, Polo Green blends leather, tobacco and wood notes to create an invigorating scent. While Polo Green can be worn at anytime of the day, the lighter notes make this cologne suitable for daytime and summer wear. The distinguishable forest green glass bottle topped with a gold lid and a gold polo emblem is distinctive and handsome, making this a suitable choice for the man who relies on proven classics in his fragrance wardrobe. Whether he appreciates the preppy style associated with the Polo Ralph Lauren line, or simply enjoys a timeless fragrance that wears well, Polo Green makes a wonderful fragrance gift for the man who favors a crisp and clean scent with a rugged feel. When shopping for a scent, it's important to understand how scents are composed and classified. Every fragrance has a top, middle and base note, also known as the dry down. The top note is the first scent identified immediately after spraying the scent, while the middle arrives shortly thereafter. Although the base note is the last to be identified and may take up to fifteen minutes to smell, it primarily carries the scent for the remainder of wear. No matter how much you enjoy a top note, the base note is the remaining fragrance that will linger on your skin. Keep this in mind while shopping for a scent and try to find a base note that appeals to your senses. While Polo Green is considered a classic men's scent, fragrance shopping is entirely a personal matter. What may appeal to some may prove offensive or unwearable by others. Fragrance notes are an easy way to determine which types of cologne you prefer. Some colognes are packed with heavy musk, while others are lighter and crisper, relying on airy and refreshing notes in their baseline. Keep in mind that while a fragrance may appeal to you in the bottle, body chemistry will change the way a scent smells once it's established itself on the skin. Perfume and cologne samples are a wonderful and affordable way to test out designer scents before making the costly investment. While department store perfume and cologne counter inventories may vary, Polo Green cologne for men is such a popular scent, chances are you'll have no problem tracking down a sample vial to test out for yourself! Once you discover the earthy and rich blends that create Polo Green, you'll immediately understand why this 1978 cologne remains a coveted men's classic.